Afternoon Tea on The Yacht, London. All aboard for a nautical afternoon tea on The Yacht, London. 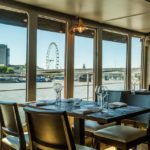 This beautifully restored 1920s steam yacht offers the perfect vantage point to enjoy a delicious afternoon tea experience with a birds eye view of London’s bustling River Thames and iconic landmarks beyond. Offering bright, spacious and a touch of 1920’s glamour, The Yacht has gained a formidable reputation as one of London’s foremost waterside venues combining a great atmosphere with fantastic dining. Moored on what is known as the “Mayfair of the river” The Yacht rests a short distance from the Houses of Parliament and the city’s West End. 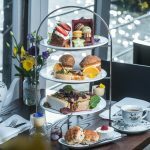 This unique venue provides the perfect location for a catch-up with friends or family whilst enjoying a traditional afternoon tea. 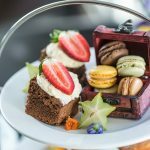 Served on an elegant tiered cake stand your afternoon tea on The Yacht offers a delicious selection of fresh, seasonal sandwiches. 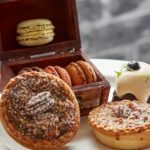 Your savoury platter is accompanied by a mouthwatering selection of tempting sweet streets including Pecan Tart, Macarons, Wild Berry Compote and the essential freshly baked scones with a delicious dollop of Cornish clotted cream and jam. Choose from a selection of favourite teas to partner your afternoon tea. 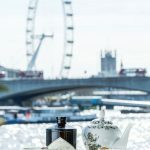 This summer season The Yacht has partnered with Hendricks Gin for a new afternoon tea experience. Their menu price includes a tasty sharing cocktail for 2 people served in their classic tea party sets. *Sample menu. The menu changes throughout the year to reflect seasonal changes. 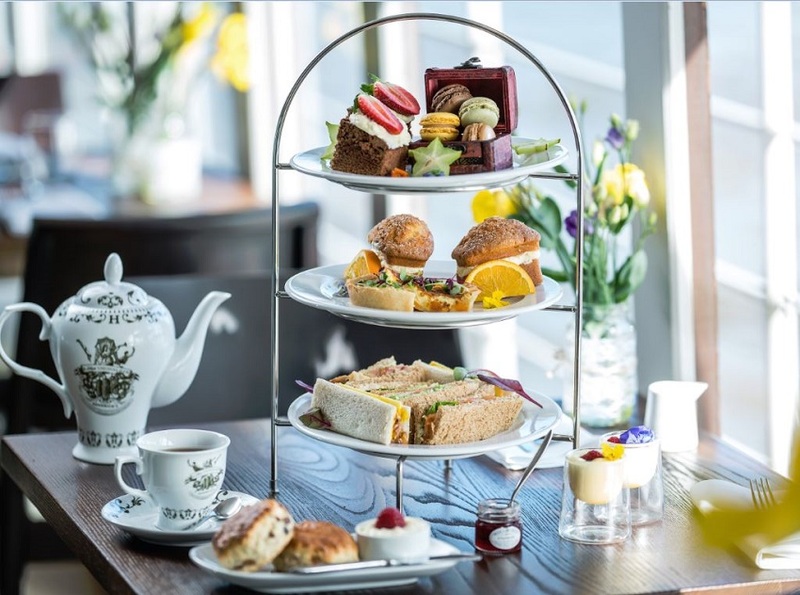 Afternoon tea on the Yacht is served Thursday – Saturday from 12pm-3pm. 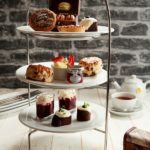 Classic afternoon tea is priced at £25 per person. 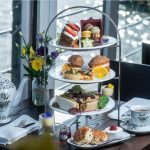 Gin afternoon tea party menu: £34.00 per person. 20% VAT included. A non-discretionary service charge of 12.5% will be added to your final bill. Dishes may contain nuts and other allergens. Please inform your server if you have an allergy. 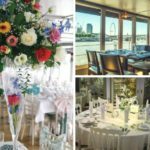 The perfect venue to visit at any time of year, The Yacht is open throughout the day serving light lunches, afternoon tea and delicious a la carte dinners. Food connoisseurs will love their tempting Tasting Menu with the option to accompany each course with a paired wine. Sundays are always a popular day for families and friends spending time over a classic Sunday roast. Something to celebrate? The Yacht is an ideal choice to celebrate a special birthday or anniversary. 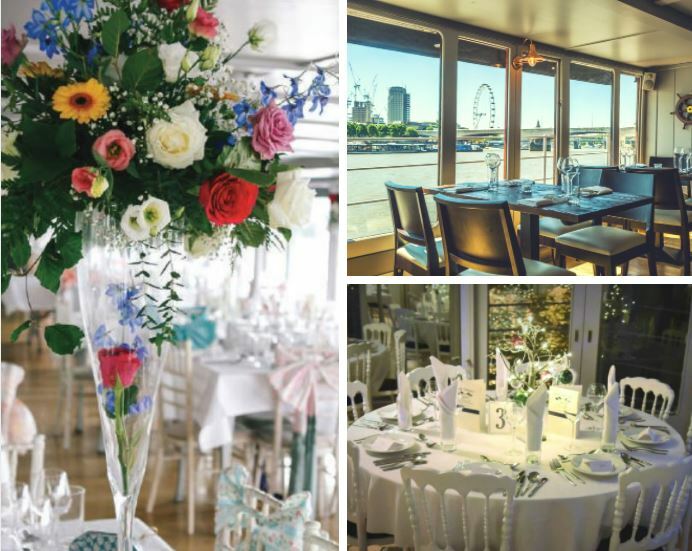 The perfect canvass, why not transform it to a floating palace for your wedding day? 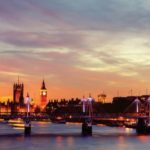 In summer the Top Deck Terrace & Bar are perfect for hosting an open air event with outstanding views of London at sunset. Their resident DJ & Saxophonist and sizzling BBQs cooked on deck by the team of chefs will ensure that your event remains the talk of the town for a long time to come. It’s also perfect for corporate events. Its spectacular views and outstanding cuisine are sure to get those creative juices flowing. Why not make someone’s day and give them a gift to remember with a gift voucher for The Yacht. Choose from afternoon tea, a restaurant voucher and fine dining options. Find a gift voucher for The Yacht. 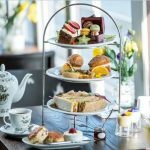 Time to gather up your girlfriends and book a great afternoon out with afternoon tea on board the Yacht. To book, simply select the Book Now button below.